A passionate champion of new technologies, Richard Mille has looked to materials employed by the aeronautics and automotive industries since the very launch of his eponymous brand, in 2001. This is how alloys such as Arcap and titanium-aluminium or carbon nanofibre composites have found their way to the workbenches of watchmakers in Les Breuleux, Switzerland. The Jura-based Maison was the first introduce these materials within the world of infinite minutiae that constitutes haute horlogerie. The mechanical structures that lie at the heart of certain movements are practically identical to those designed for Formula 1 engines. To achieve this synergy, the brand early on enlisted top names in the sport: drivers like Felipe Massa, Romain Grosjean, Sébastien Loeb or Sébastien Ogier. Jean Todt, a legendary figure of the automotive world if ever there was one, actively supports the brand. Richard Mille has fostered significant partnerships with teams like e.dams Renault in Formula E, the new championship for electric-only single-seaters. 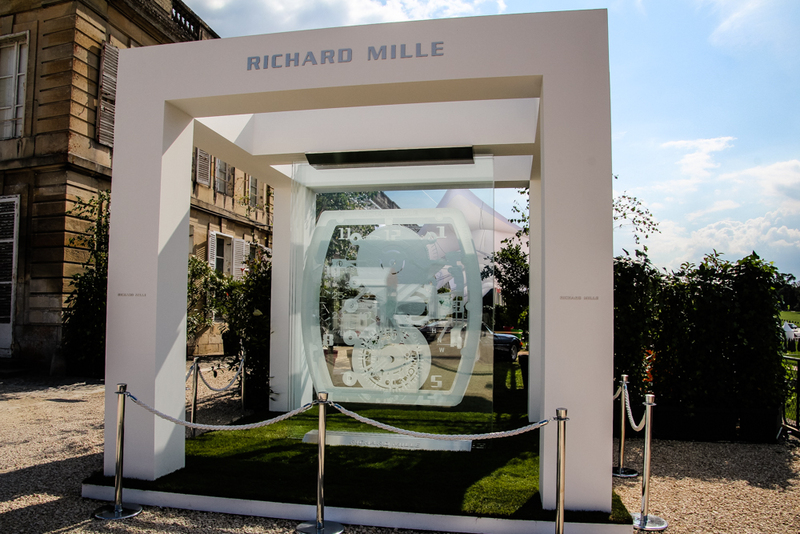 The Maison Richard Mille has been particularly present in the world of classic cars. The brand has been the principal partner of the most emblematic championship in historic racing, the Le Mans Classic, since 2002. 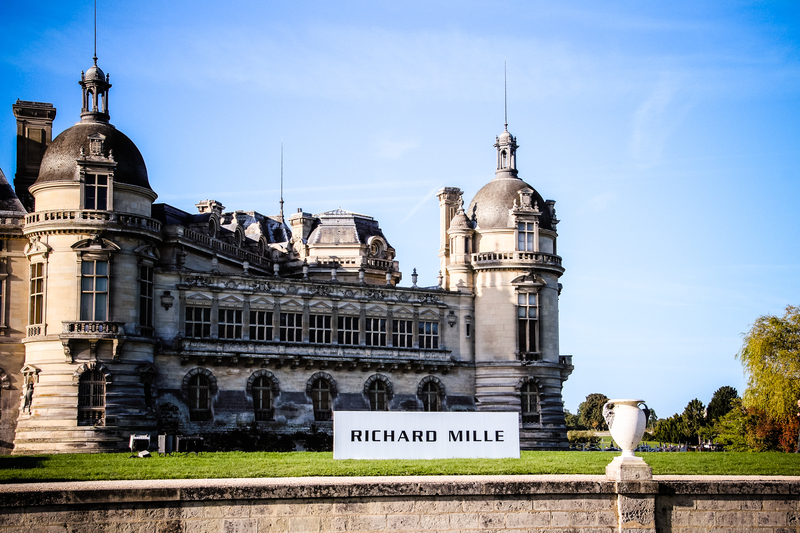 On another register, Chantilly Arts & Elégance Richard Mille has rapidly established itself as a reference in the world of classic car shows. This event embodies a more feminine side of the brand’s commitment to the automotive realm. Bonhams is delighted to announce a new addition to its European auction calendar at the magnificent Chateau de Chantilly. Timed to tie in with the Chantilly Arts & Elegance Richard Mille Concours, a great success in its inaugural year in 2014, this will be an evening event for a limited number of very special collectors’motor cars. A French brand created in Paris, DS was launched on 1 June 2014 with the ambition to allow the French automotive industry to reconnect with luxury. Inspired by the best of French know-how, DS perpetuates the values of innovation and distinction of the DS launched in 1955. DS features remarkable styling, meticulous refinement, high-quality materials and leading technology. Distributed through DS Stores or in the CITROËN network, DS has come to represent a brand experience that goes beyond the products, in particular through the DS Privilege Club. Founded in 1972, The Point is a weekly French reference news magazine. With rigor, conviction and openness, Le Point analysis and extends independently political, economic, social and cultural news in France and worldwide. Created in 1954, Relais & Châteaux is an exclusive collection of more than 540 of the finest charming hotels and gourmet restaurants in more than 60 countries. Our owners, innkeepers and chefs open up new horizons for upscale hospitality by focusing on distinctive and personal experiences through which our guests are invited to experience the fine 'Art of Living' on all five continents. From the vineyards in Napa Valley to the beaches of the Indian Ocean, from the olive trees in Provence to the lodges in South Africa and traditional Japanese hot spring Ryokan, Relais & Châteaux offers all the stops on the finest route for discovering each region, culture and country. Enchantment with the world and appreciating the beauty of our planet with a fresh view is the vision of Relais & Châteaux. Founded in 1973, the Union des Grands Crus de Bordeaux brings together 133 Grands Crus with the same high standards of quality. These are located exclusively in the finest appellations in the Gironde department: Médoc, Haut-Médoc, Saint-Estèphe, Pauillac, Saint-Julien, Margaux, Moulis, Listrac, Graves, Pessac-Léognan, Sauternes, Barsac, Saint Émilion, and Pomerol.